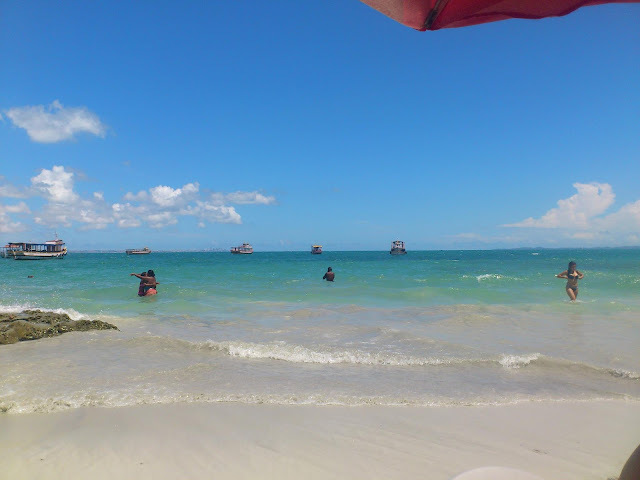 'Ilha de Mare' is a small island located in Bahia de Todos os Santos in the City of Salvador. 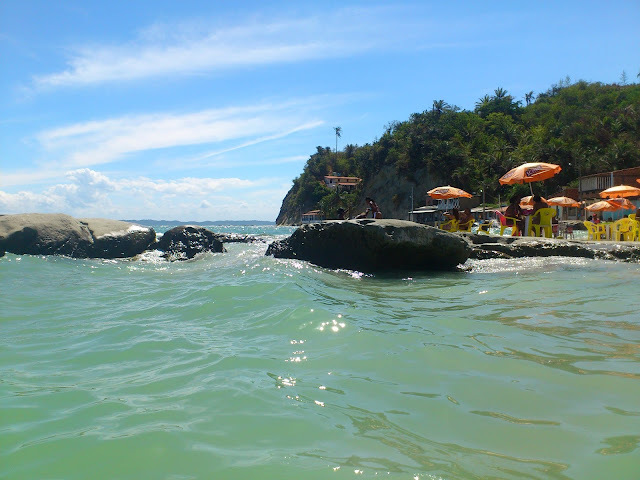 Ilha de Mare is well known by travelers and historians who like to know about Brazilian history due to the strong African Brazilian heritage in the island. This island houses a quilombo (ex-slave) community. The island’s tiny community of Praia Grande was declared a ‘quilombo’ in 2004, after a long struggle for the land with a family that had long claimed ownership to it. The declaration gave the habitants rights to the land. 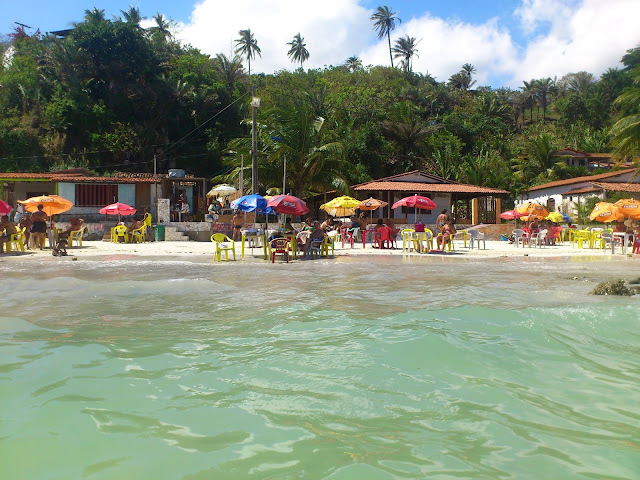 Of the smaller islands (meaning not Itaparica), one of the most popular as a destination via schooner or ferry boat is the Ilha de Maré (Tide Island), located in the northern area of the bay. 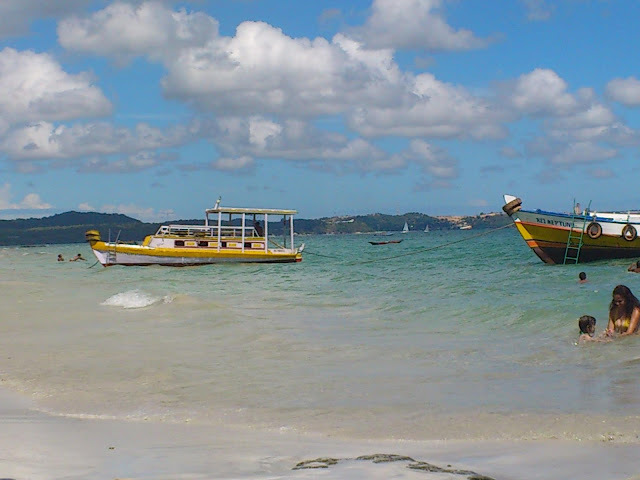 Boats generally pull up to the praia (beach) of Itamoabo, and because there is no pier one reaches the beach by getting off the boat into waist-deep water and wading up to dry ground. 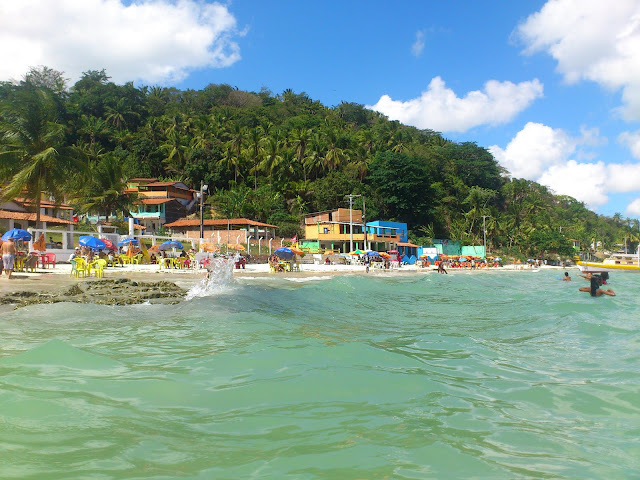 Itamoabo is nice, though not particularly beautiful in and of itself, and it is lined by the usual Bahian assortment of slap-dash barracas and bars serving beer, carangueijo (crabs), and fish. Some three hundred meters or so along the island's coast to the left (as one faces out to the water) is a truly lovely little beach called Praia das Neves (Beach of the Snows), not much frequented except during high Brazilian summer) which has several houses set up as beach bars, very sweet and organized. 'Maré' is home to a small population of fishermen. Their communities are not visible from either of the two beaches described above, and are only reachable by boat or walking (not that I'm suggesting an excursion unless one happens to be curious). From Itamoabo a small sidewalk wends its way up a hill, then back down to the community of Santana where, on the weekends, the inhabitants will be doing what the visitors on Itamoabo are doing -- sitting in simple bars drinking beer and talking.